All of Denver is coming down from the high that was 2018 Outdoor Retailer Summer Market. The city and the Colorado Convention Center wereabuzz for four packed days of exhibiting during what was the first summer market in OR’s new Denver home. From the perspective of a trade show provider here’s our takeaway from last week’s event. With the show moving this year from its 22-year home in Salt Lake City, many retailers are still testing the waters, making sure the financial risk will be worth it. Retailers opting for smaller booths made this point evident. 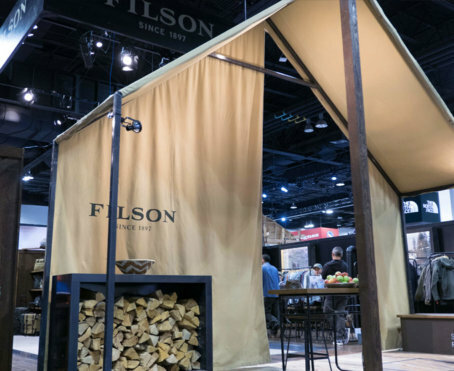 Kevin Trainor, Condit’s Design Director, notes, “I saw more smaller booths at the summer show this year, which I think reflects exhibitors ‘settling in’ to the new Denver show.” While these exhibitors are dipping a toe by shrinking their booth footprint, the quantity of exhibitors rose. The Denver Business Journal published that 222 American companies were new to the show this summer, demonstrating people’s commitment to the industry relationships the show provides. With OR Summer being just the second Outdoor Retailer show to be held in Denver thus far – the first being OR Winter Market in January 2018 – there is a mixture of excitement and caution in the transition. Even if companies are choosing to downsize for the time being, the show’s exhibitor count is higher than ever. Even those who are still on the fence about investing in a booth are still opting to attend the show just for the shear quality of networking and attending educational events. To ease the pang of change we’ve been helping exhibitors transition their booth properties to a more favorable storage location. Condit is mere miles from the Colorado Convention Center, thus dramatically reducing transport costs to and from the show. We hope these transitioned clients will value the other upsides of working with Condit. We offer a turn key suite of services, top notch design and exhibit fabrication and value collaborative, long-term working relationships. Thinking to make your switch to Condit? Get in touch with us today! Future Outdoor Retailer show dates can be found on the Outdoor Retailer show page. See images below of our fantastic clients at OR Summer 2018, and be sure to check out our outdoor client portfolio and Case Studies on the YETI and Smartwool booths for more examples of our work designing outdoor brand trade show exhibits.